Oregon, Ohio native Chris Bear gets focused for a run in his Super Pro dragster, June 30 at Kil-Kare Dragway. This is the second consecutive year for the Liberty Classic drag event to be brought to Kil-Kare Dragway by Loose Rocker Promotions. 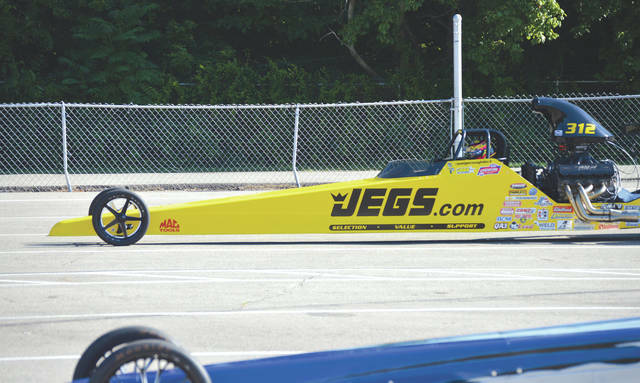 A third generation of the famed Coughlin family will be competing at Kil-Kare Dragway this weekend: Paige Coughlin, the daughter of former NHRA Pro Truck and Pro Stock racer Troy Coughlin, will be competing in the Liberty Classic, June 30-July 1 on the Xenia Township 1/8-mile drag strip. Hamilton driver Mike Bloomfield will be among the favorites each day at the Liberty Classic, presented by Loose Rocker Productions, June 30-July 1 at Kil-Kare Dragway. While there’s a lot of dragsters on the Kil-Kare Dragway grounds this weekend, fans will see their share of door cars, like this Chevy Vega, during the June 30-1 Liberty Classic. 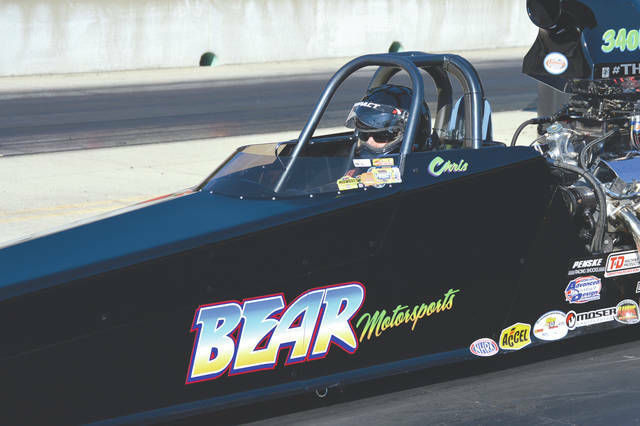 XENIA — Dean Karns, Jr. is among a select group of drag racing competitors who are willing to travel all over the country to compete for the top prizes that the sport can offer. So, it’s pretty nice when the Fairborn racer can battle for big money practically in his own back yard. 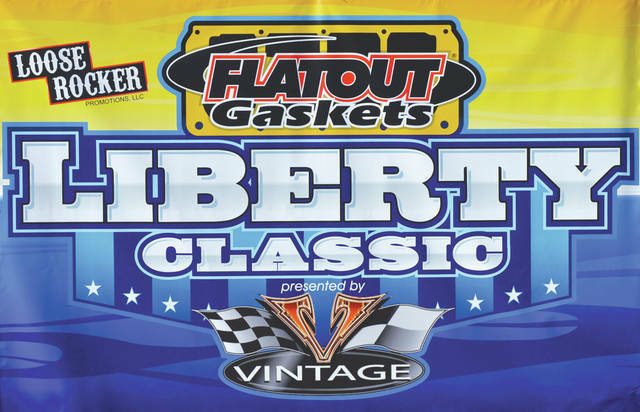 Karns, Jr. and nearly 200 drag racing drivers from all over the nation and Canada are on hand, June 29-July 1 for the Liberty Classic, presented by Vintage. Each day of racing has an event where the winner will take home $20,000. Second-place in the final round still earns somebody $6,000, with those drivers reaching the semifinals taking $2,000 for their efforts. On Saturday night June 30, Loose Rocker promotions will also sponsor a separate $10,000-to-win event among 64 competitors. With his dad, Dean Karnes Sr. and the rest of the family on hand, Karns Jr. has his Pink Taco dragster at Kil-Kare, but it’s being driven by friend and fellow drag racing driver Brian Lampton of Toledo. Lampton got as far as the third round of competition on Friday. He’ll likely be driving for Karns throughout the weekend. The neon-pink, white and black “Pink Taco” dragster has been dialing in 1/8-mile runs in the 4.47-second range so far this week. 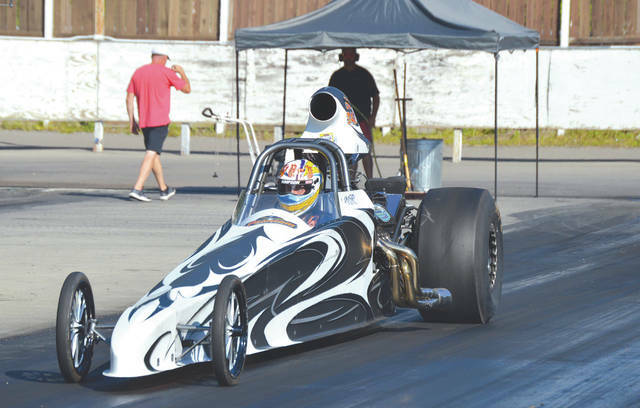 Karns has been getting more involved in a style of drag racing called “No Prep,” where the track is stripped of its adhesion and drivers compete on a bare track with quicker machines that are built specifically for the no-prep race conditions. Rather than handicap each race with a start difference, like it’s done in bracket racing, No Prep events don’t even bother with a time slip at the end of the track. The first driver to cross the finish line, wins. “It’s getting more notoriety on television these days. Bracket racing levels the playing field for dollars and cents,” Karns said. “If you come out here with a budget of $5-6,000 to race on for the year, and I’ve got a $60,000 race budget, it’s still an equal playing field in bracket racing. Being able to do that requires the right combination of reaction time, gearing, fuel mixture and traction control. And being able to make it to the finish line in one piece. On July 6-7 at Kil-Kare, Karns will be back at Kil-Kare for a No-Prep drag racing event known as Eat, Race, Die. 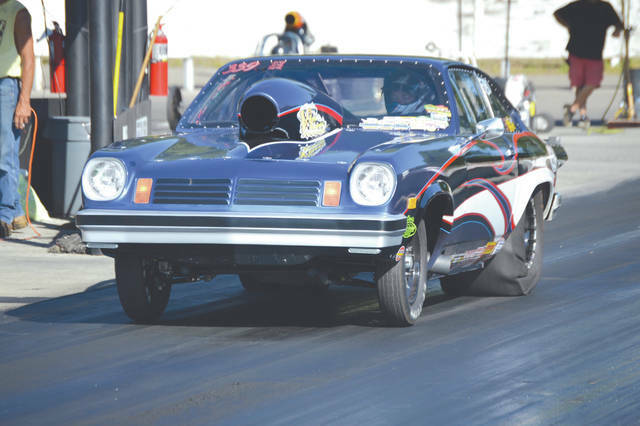 Discovery Channel drag racer Mike Murillo, who hails originally from Enon, will be on hand for the event along with possibly other notable drivers from the No Prep Drags television show. Karns politely handicapped this weekend’s field, even though some of the racers would possibly get upset because he didn’t pick them as one of the top contenders at Kil-Kare. In no particular order, Karns listed Michigan’s Ray St. Dennis, Oregon’s Chris Bear, Dayton driver Steve Taylor, Hamilton’s Mike Bloomfield and Lampton, who is driving for Karns, as some of the drivers to beat. “That’s the thing about bracket racing like this. If you find the right combination, and do well off the tree with a solid reaction time, anyone can win here. Those are some of the guys I know who have been running well, but I know plenty of other talented guys who are gonna be mad at me,” Karns chuckled. Bear was one of the only drivers to have two entries still in contention after Friday’s first three rounds of eliminations. According to co-promoter Michael Beard, of Columbus, there were 159 cars entered for Friday’s event. When Friday’s $20,000 winner is crowned, drivers and their crews will have a fun evening with friends and family. Then they’ll turn around and do it all over again on Saturday and Sunday. Qualifying begins at 10 a.m. each day. Saturday’s racers will vie for the $20,000, then they have the opportunity to compete for the 64-car $10,000-to-win event that evening. Admission for adults is $10 per day. Kids 12 & under get in free. Visit kilkare.com/events for more details.